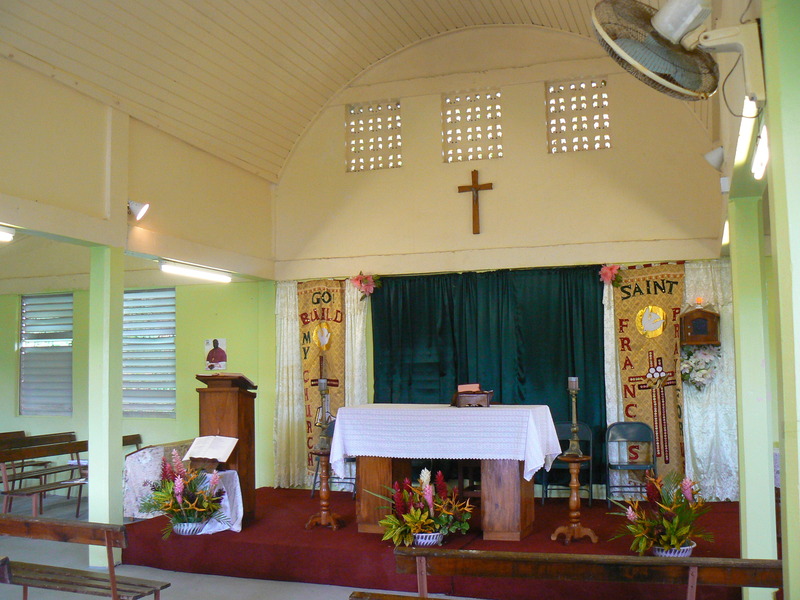 As BOETICA and DELICES/ LA ROCHE/ VICTORIA is now cut of from the rest of Dominica, I wanted to highlight the beautiful church/ chapel in that area. First The chapel in Boetica, which was renovated in 2012 by Fr. Louis Vrignaud FMI and Mr. Beaupierre, contractor. I had the privilege to redesign the roof and introduced a curved ceiling. The re- orientation of sanctuary was also done at that time. Have a look if you like the result. 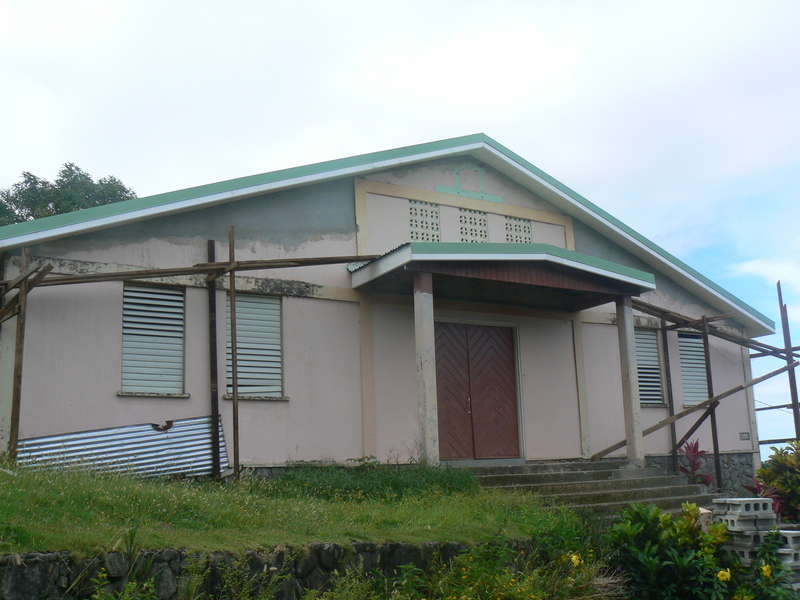 This entry was posted in BOETICA chapel, design by Bernard Lauwyck, St. Francis of Assisi chapel in Boetica - Dominica and tagged Boetica chapel on November 2, 2015 by Bernard Lauwyck.